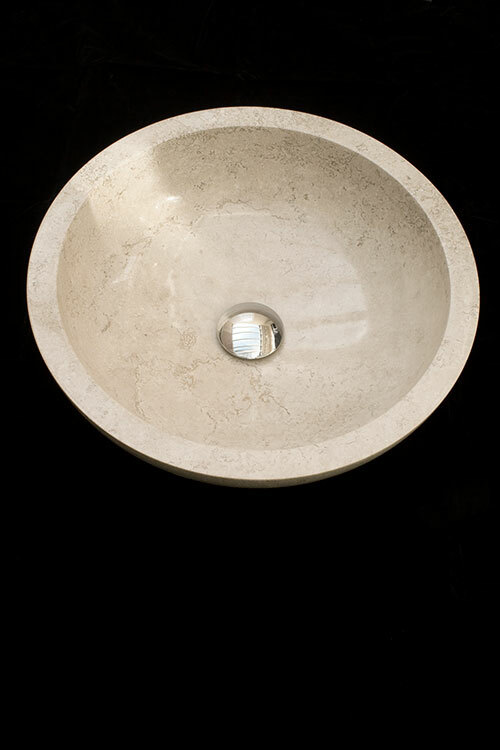 Light cream polished stone basin made of solid European travertine. 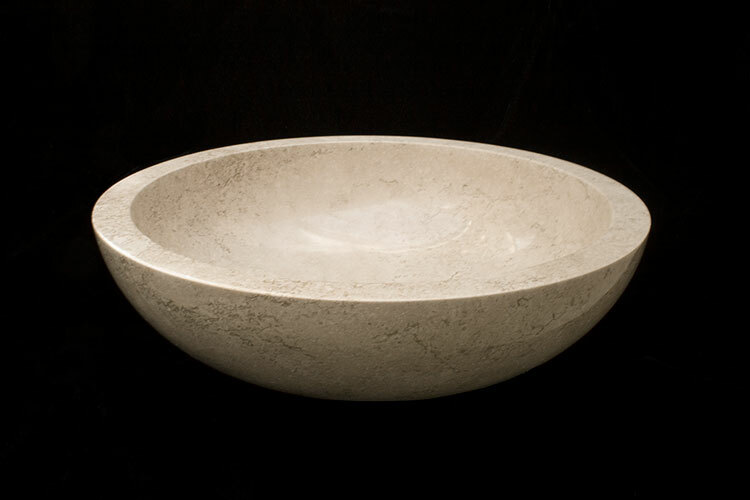 This travertine stone sink is polished to a shiny finish and has great contemporary counter top styling and is an ideal basin for a stone bathroom theme. 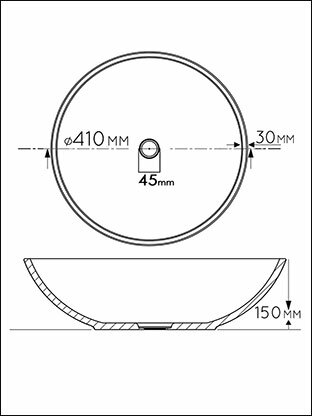 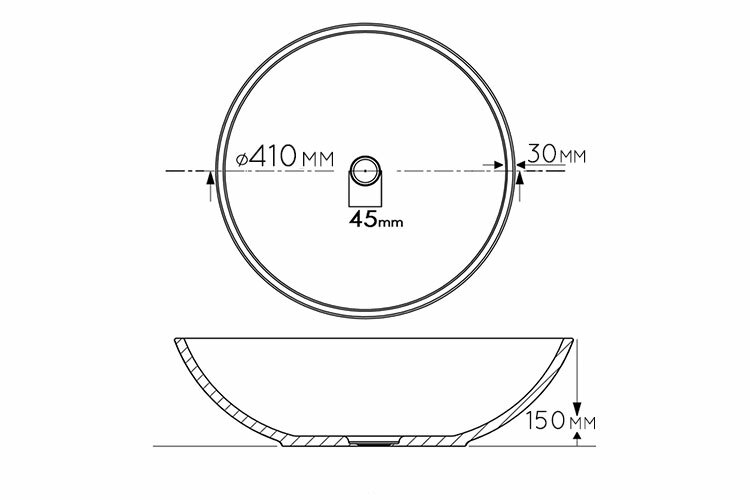 410mm in diameter x 150mm deep. 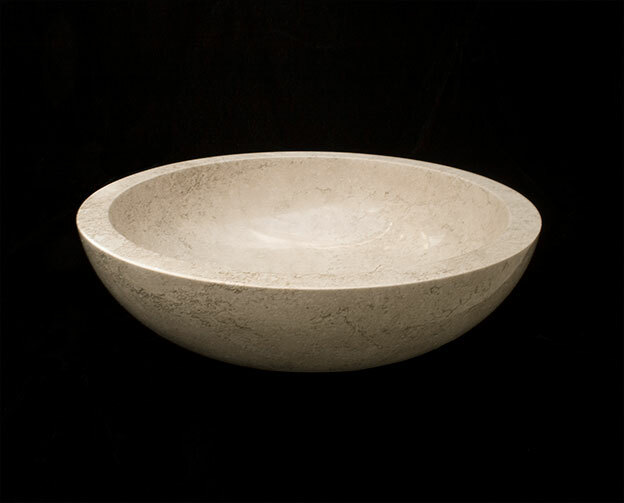 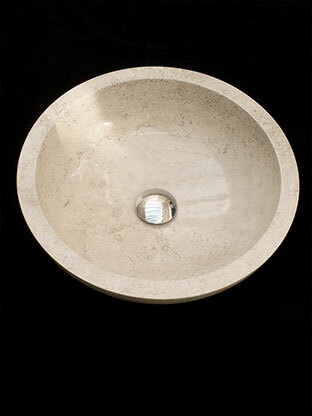 * Basin made of travertine stone.